Here are some important questions to ask when preparing to execute successful HR-technology strategies. Anyone who has had the good fortune to participate in the full cycle of an HR technology-implementation project knows well that such efforts usually consist of numerous milestones, dozens—if not hundreds—of tasks and components, scores of internal and external resources, significant investments of funds and time and myriad opportunities for sub-optimal outcomes or outright failure. Choose the “wrong” solution and your HR tech project could flounder. Forget to ensure some critical capabilities will be supported in the new system in time and the “go-live” date could be compromised. Fail to procure the right experts to serve on the project team and progress could languish. Lose control of the project’s scope and end up with delays and cost overruns. And there are a hundred other reasons why well-intentioned HR technology projects fail to deliver. With apologies to Tolstoy for paraphrasing his famous line about families, I would argue that successful HR tech projects are all alike; unsuccessful HR tech projects fail in their own way. While understanding why some projects succeed and others fail is important for any organization, it’s even more vital to prepare for and execute HR technology strategies in a manner that maximizes the chance for success. As co-chair of the HR Technology® Conference and Expo, I am focusing on developing considerable content around the “Success with HR Technology” theme. With that in mind, I thought it would be helpful to examine the nature of customer success and highlight some considerations that HR and HRIT leaders should keep in mind as they continue with workplace technology planning, purchasing, implementation and post-implementation activities in 2018. During some recent research, I was encouraged to find that the concept of customer success has gained strength in recent years as an important measure and barometer for HR and enterprise technology providers. While each provider may have its own way of defining customer success, the important thing is that more of them are intentionally making the concept of their customers’ success a fundamental yardstick of self-measurement. Prior to selecting any new HR technology provider, HR leaders will not only want to ensure that customer success is one of the important (if not the most important) ways they self-examine, but you will also want to see demonstrable proof of their customer commitment. Do they have a senior executive dedicated to customer success, such as a chief customer officer? Does this senior executive have enough resources and power in the organization to wield influence and get things done on behalf of customers? Are there representative and published customer-success stories on their website? Can they provide several customer contacts who are able to offer honest references? Do they have a customer community or forum to share ideas and product questions? Perhaps most importantly, how do customer feedback and product-feature requests influence the product-development roadmap and how new features are prioritized and delivered? The bottom line for an HR leader is that the provider must care as much as you do about your organization’s success. Does the provider inquire about your short- and long-term goals and objectives? Do representatives want to know what your most important HR and business challenges are? Is some level of these representatives’ own compensation (or at least their performance evaluation) tied to whether you actually achieve your desired goals from the new HR technology? It is easy for HR tech providers to try to convince you that your success is the same as their success, so you will want to probe deeper to find out if their internal structures and rewards are truly tied to your organization’s success. I ordered some new sneakers from Zappos the other day, and I could swear they showed up at the door less than 24 hours later. It was amazing that these very cool kicks I had been admiring one day were on my feet the next. It’s too bad that not everything we want (and purchase) works that way. In HR and workplace technology, what happens in the period immediately after the sale but before the project goes live is critically important and highly impactful in the overall success of projects. Do we have a dedicated vendor resource to go to with concerns? Will that person be assigned to us for the duration of the implementation? How many other clients does this person have besides us? How soon until we will have a test or “sandbox” system available? What is the process and timeline for getting our key project resources trained? How quickly will the provider respond to issues and questions that we have during our initial set-up and testing? I could go on, but make sure you press the vendor for a detailed plan/process for how it plans to support you in getting from signed contract (a high point for the vendor) to go-live (a high point for the customer). In a productive, healthy and aligned partnership, the vendor will consider reaching the go-live date to be as much of a success for it as it is for you. Experienced HR and enterprise-technology professionals often like to say that the go-live isn’t the end of the project, it’s just the start. As someone who owns a fair share of enterprise-technology battle scars, I would have to agree. Aside from some potential cost savings from the decommissioning of legacy systems that the new HR tech solutions are going to replace, almost every HR tech project begins providing a potential benefit and return on investment only after it goes live and users adopt the new system. And even then, it usually takes months or even years to demonstrate the expected benefits and financial ROI for which the organization has been hoping and planning. With this in mind, HR and HRIT professionals should make sure they understand how their HR tech provider will support the system post go-live, which implementation resources will remain available (and for how long), if there will be any “special” or increased support in the critical first 30-60-90 days post go-live, and finally, the process to resolve any critical bugs or issues during this crucial period. 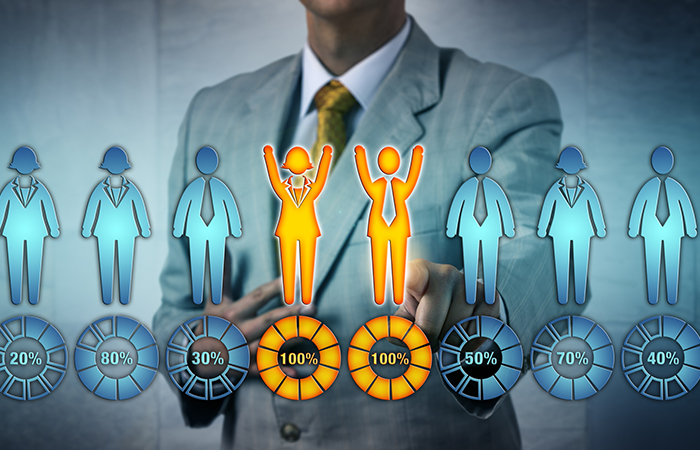 In the longer term, HR leaders will want to ensure that the key metrics they will use to measure project, HR and organizational success will be supported by the HR tech provider, and that there is a clear understanding of how these shared goals and objectives will be monitored and managed moving forward. Next month, I will examine customer success from the internal point of view and address what HR and HRIT leaders can do to make sure their own organizations are positioned for success. HRE editors announce their picks for the 2017 Top HR Products awards. Skepticism surrounds CVS's claims that the $69 billion merger will redefine and reshape the delivery of healthcare in this country.